Barksdale's Bourdon tube pressure switches offer instrument class accuracy (± 1% of the adjustable range), making them an ideal solution to your pressure control needs when accuracy is critical. Built-in over-travel stops allow for higher proof pressures than most other pressure switch technologies. Set points are easily adjusted via an internal adjustment screw. Available as a single or dual switch output, Bourdon tube pressure switches are adaptable for use in a wide range of industrial applications. 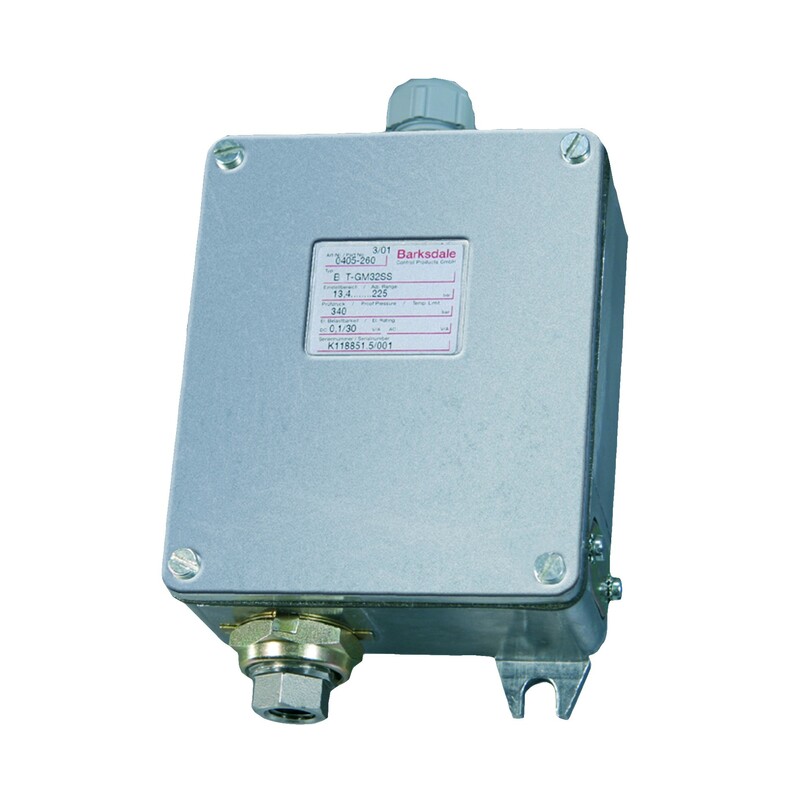 A variety of limit switches is available to allow for a multitude of electrical switching conditions. Switching points are available from 3.4 bar (50 PSI) up to a maximum of 1224 bar (18000 PSI) working within a temperature range of -40° to +74 °C. Standard process connections is ¼” with diaphragm seal options also available.